This entry is about our IPS Community Suite 4.2 release. 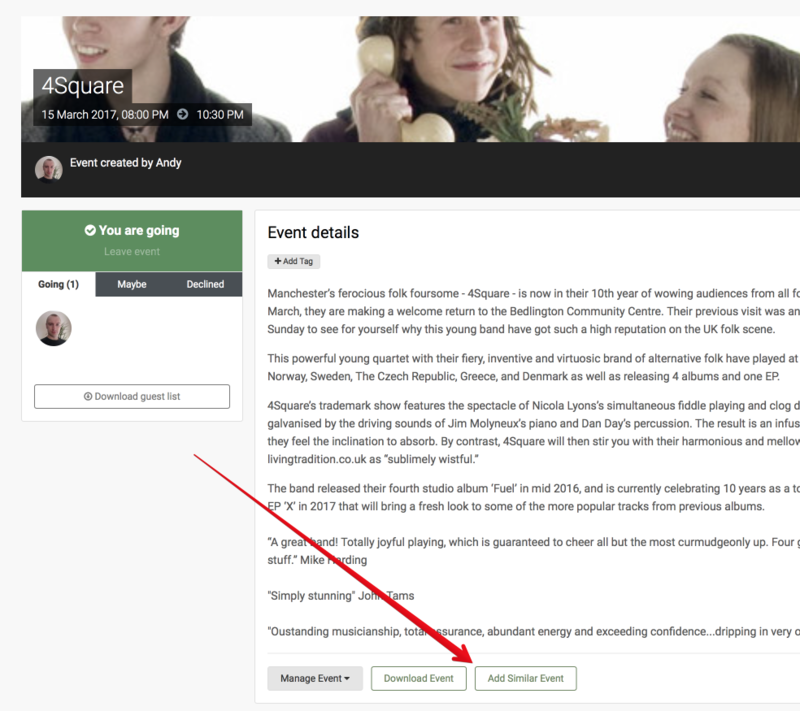 Recurring events are not new with IPS Community Suite but often you may wish to create similar events that don't necessarily occur on a regular schedule. Previously this has meant creating a new event for each and then manually re-entering the information for event description, location, cover photo, RSVP options and so on. Often the only thing changing between the events would be the date and time. Starting with IPS Community Suite 4.2 it is now possible to create a similar event based on one you have already added with a single action. After opting to add a similar event you will be presented with the add new event form with all of the event info already filled out for you. Just set the date and time, make any required adjustments and submit your new event. Note: This option is only presented to the author of the original event in order to reduce visual clutter for regular visitors. We will be announcing many more interface improvements such as this in the coming weeks so be sure to follow the News & Updates section for updates.